A lovely pattern consisting of dress, headband & shoes. 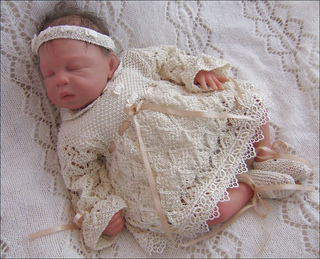 Sized 0-3 months and also suitable for a reborn collectable doll 19-21in. The design useds 4ply (fignering weight) cotton and is worked on 3.25mm (US3) needles.